WASHINGTON—Speaking at a press conference on behalf of presidential candidate Mitt Romney, campaign spokeswoman Andrea Saul told the American public how deeply sorry the GOP frontrunner was to have missed the nation's piano recital Saturday. "Mr. Romney knows how important it was to you, and he wanted to be there, he really did, but sometimes people running for office are very busy and have to spend the whole weekend at rallies in Wisconsin," said Saul, adding that the former Massachusetts governor understood how disappointing it must have been for the nation to look up and see that empty chair in the front row. "He's been briefed on how well you played, though, and he wanted me to tell you he's very proud of you and can't wait for the next recital. Not only will he be there, but he's promised to take everyone out for ice cream afterward." 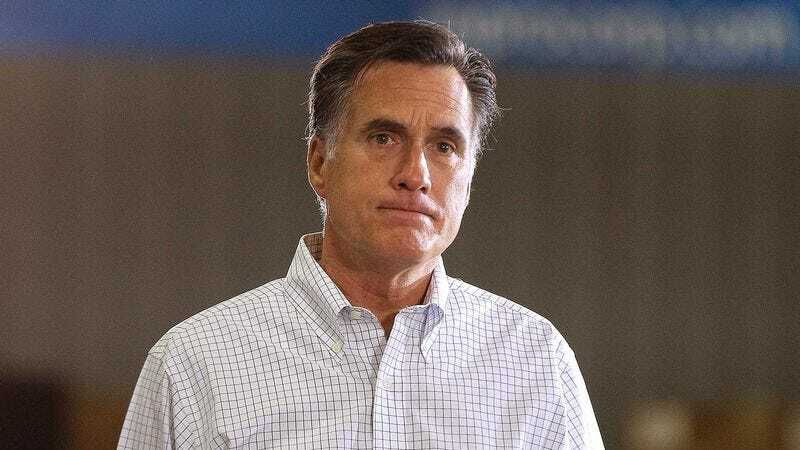 According to sources, Romney wanted to wake up the nation and apologize, but was told by his angry wife, Ann, that the country had just cried itself to sleep and didn't want to see the Republican candidate right now.